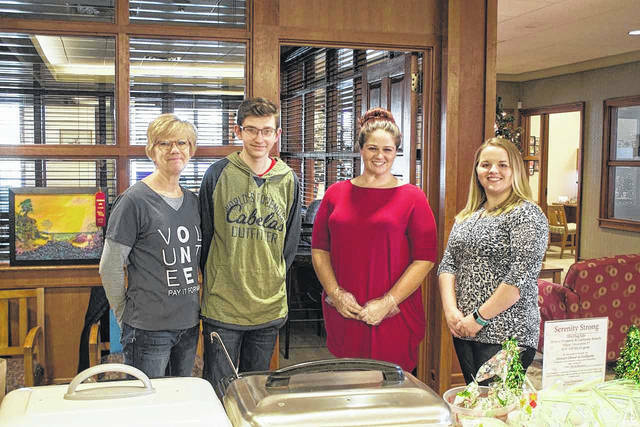 Farmers Bank employees pulled together to raise close to $900 and collected donations for the Serenity House. Pictured are employees from the Gallipolis Branch. Farmers Bank employees pulled together to raise close to $900 and collected donations for the Serenity House. Pictured are staff from the Pomeroy Branch and Ashley Durst from Serenity House. 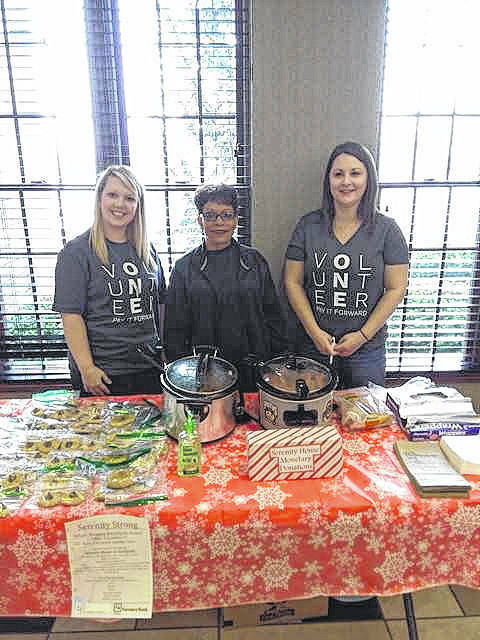 Farmers Bank of Point Pleasant recently held a bake sale with all donations going to Safe Harbor Therapeutic Riding Facility. 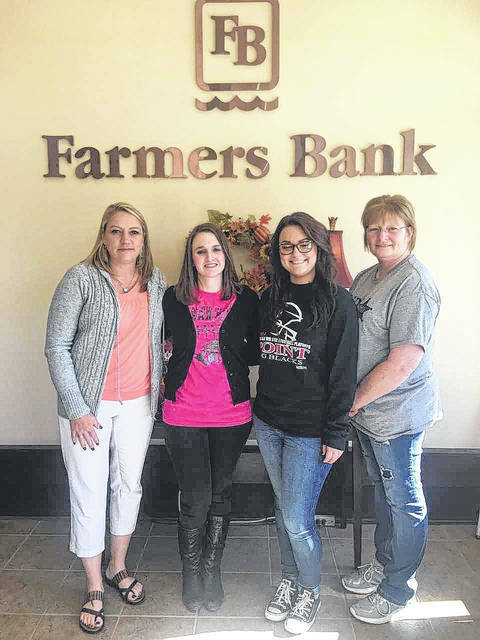 Pictured from left are Amey Carr, Brianna Decker, DestinyJones, and Shelia McCallister.